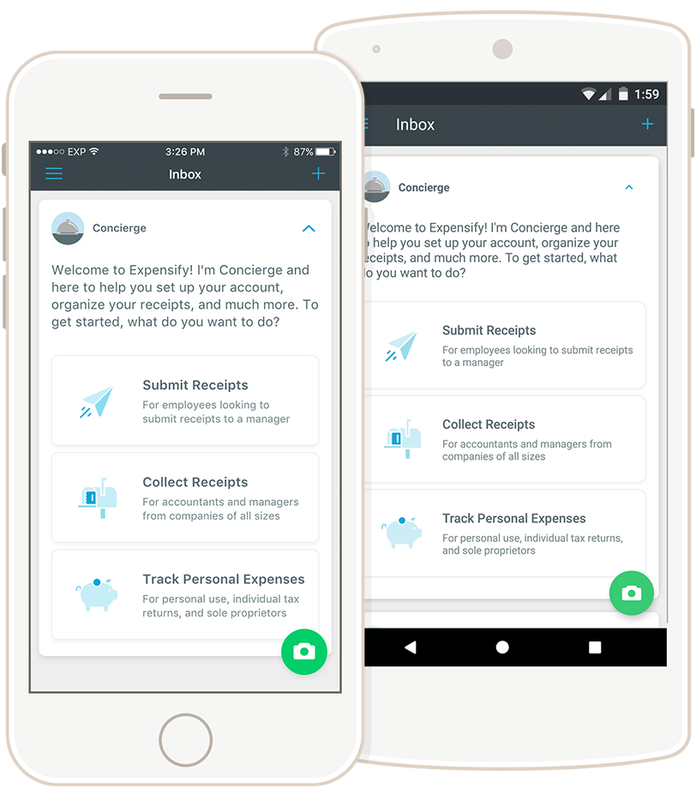 Expensify is supported on iOS and Android devices. Click below for Expensify download links to the Google Play store and the App Store. After you've downloaded the app, learn how to use it! Are you an Admin for your team? Day 1 for Admins and Accountants and our Admin Webinar are for you! Learn how to SmartScan those receipts! If you're experiencing errors, please first make sure to check that you are using the most updated version of the app. Check the App Store or Google Play store for any updates to make sure you're up to speed! How do I sync my app? The data on my phone isn't jiving with the website! In your app, tap your Account button at the upper left hand corner of the screen, and then tap "Sync Now". Expensify is taking up so much space on my phone! What's the deal? Expensify reports/expenses themselves do not take up space. We're a cloud based app, so the data is attached to your account and not your device. What does take up space is any cached information that may be stored in your app. Cached information (such as common merchants or sign-in information) can be the reason for the high amount of "storage". If you are using an iPhone, it could be a bit harder to clear this cached data. You would need to first sync your app (under the Account tab in the mobile app) and then delete and re-install. You can also occasionally log out/in to help clear that stored cached information more frequently. Can I use Google SSO to sign into the app? Unfortunately, we don't support signing in with Google SSO on the mobile app at this time. How do I use SmartScan? Just use the green camera icon to snap a picture on your phone. We'll create an expense out of this information for you! For more information, check out our SmartScan 101 guide. Our Report Actions guide will walk you through this easy process. Why can't I edit my expense? Please check to see if this expense is on a report. If the report is in any state other then Open, then you will not be able to edit the expense. Please make sure to send screenshots of what you are seeing on your app. It would be greatly helpful if you sent us your mobile logs as well (but only after attempting to reproduce the error that you're having, which will ensure that we have the freshest data and can see what is going wrong!). Under your user icon in the side menu, tap Account Settings and then "Sync account"
Under your user icon in the side menu, tap Account Settings > Help and Feedback > Ask us anything (in some cases it will just state "Send Feedback") and send us a message. This will send us your app's logs, and then we can further investigate the issue with these details. Make sure to check out our Community as well. It's a wonderful resource to find answers from Expensify users around the world!